The Linksys WUSB6400M AC1200 MU-MIMO USB Wi-Fi Adapter is a dual-band wireless adapter that upgrades your Windows®-based laptop, MacBook® or desktop computer to the latest Wi-Fi standard. This article will help you install the driver for your wireless USB adapter using the Setup.exe file on a Windows® computer. To learn how to set up using a Mac® computer, click here. NOTE: The Linksys WUSB6400M supports Windows® 7, Windows® 8 / 8.1, and Windows® 10 operating systems. Insert the Setup CD into your computer’s CD Drive and run the Setup.exe file. QUICK TIP: If you lost your Setup CD, you can download the Setup Utility from the Linksys WUSB6400M Downloads page. 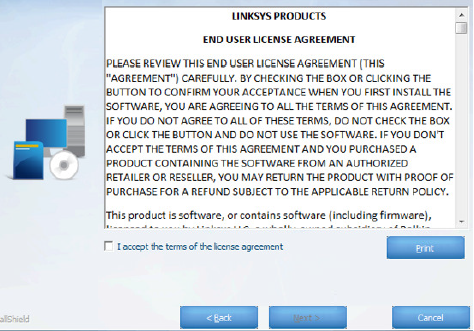 Read the END USER LICENSE AGREEMENT and check I accept the terms of the license agreement checkbox. Then, click Next >. NOTE: If you have not connected the wireless USB adapter by the time the progress bar has been completed, you will receive the Unable to find your adapter! message. Connect or reconnect your wireless USB adapter and click Yes to try again. 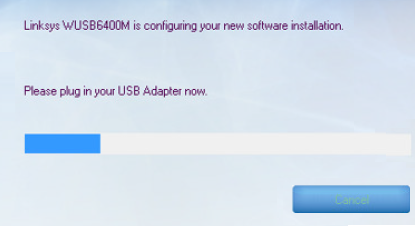 Once your wireless USB adapter is detected, it will install the driver. NOTE: Disable your built-in wireless USB adapter to make sure you are using the Linksys WUSB6400M to connect to your Wi-Fi network. You may now connect to your wireless network. 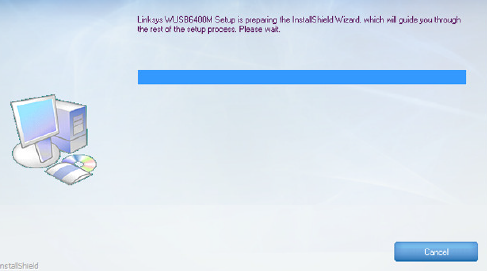 If you are using Windows 7, click here. For Windows 8 / 8.1 and Windows 10, click here.